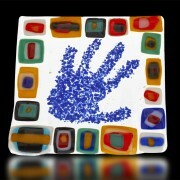 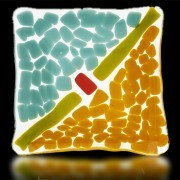 Welcome to the Fire Glass Studio Gallery. 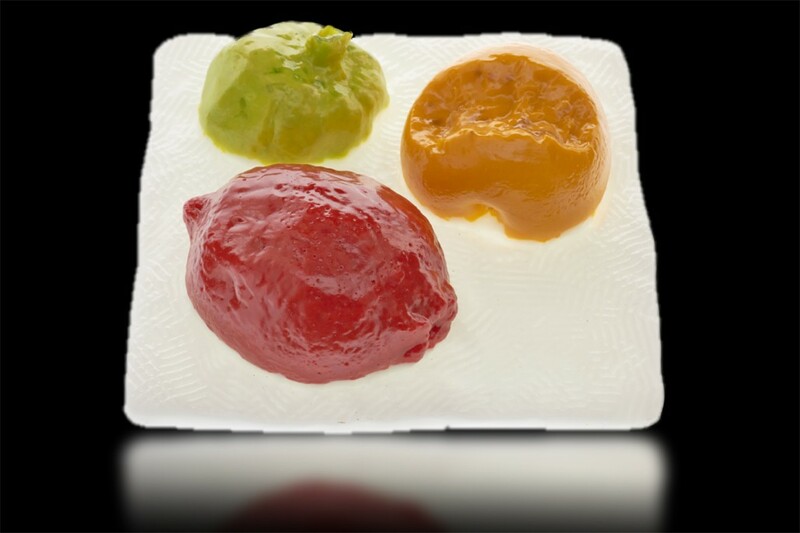 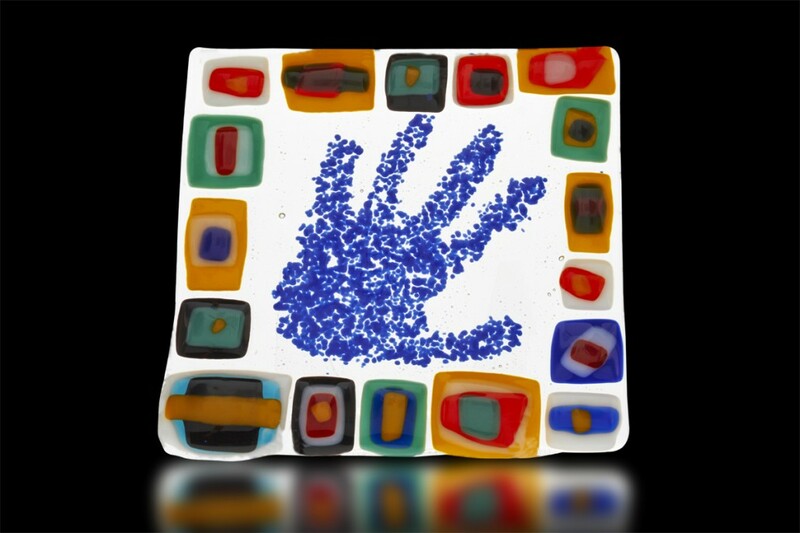 Here you can see examples of work done by our family of Fire Glass Students as well as other Glass Art Creators who use our studio to create their works of art. 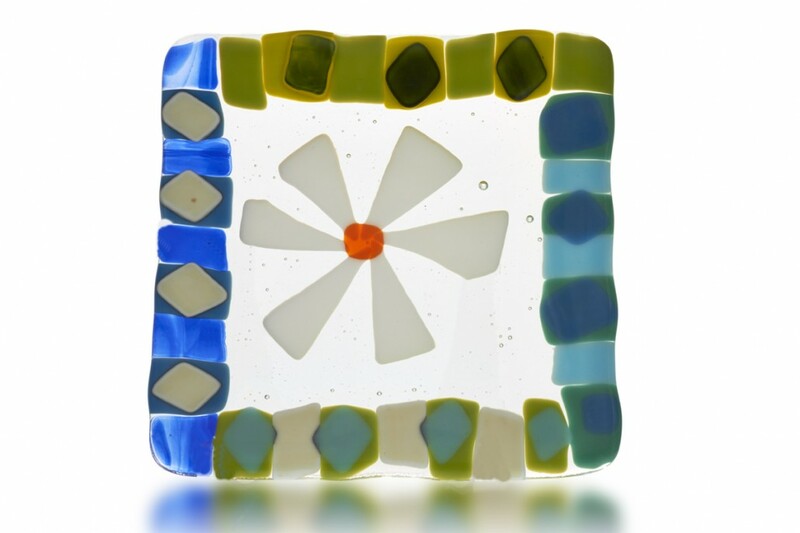 We hope you will be inspired to come and enroll in one of our classes to see how quickly you too can use this unique art-form to bring out the artist in you. 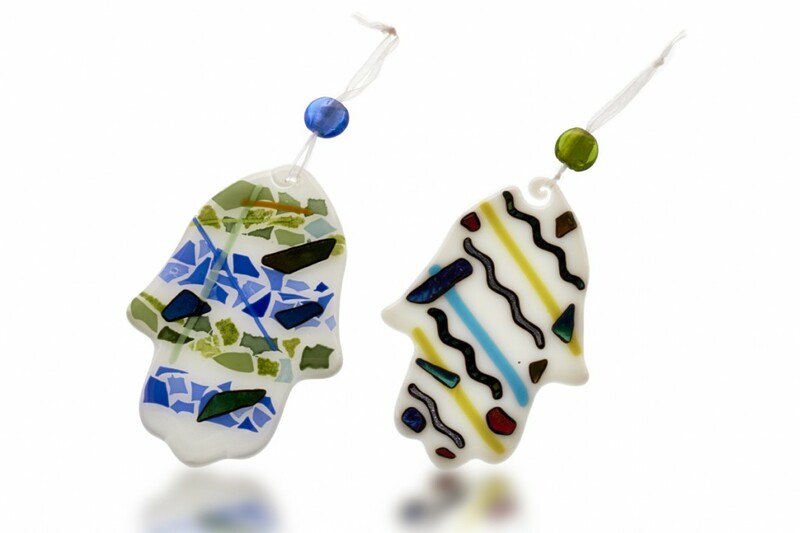 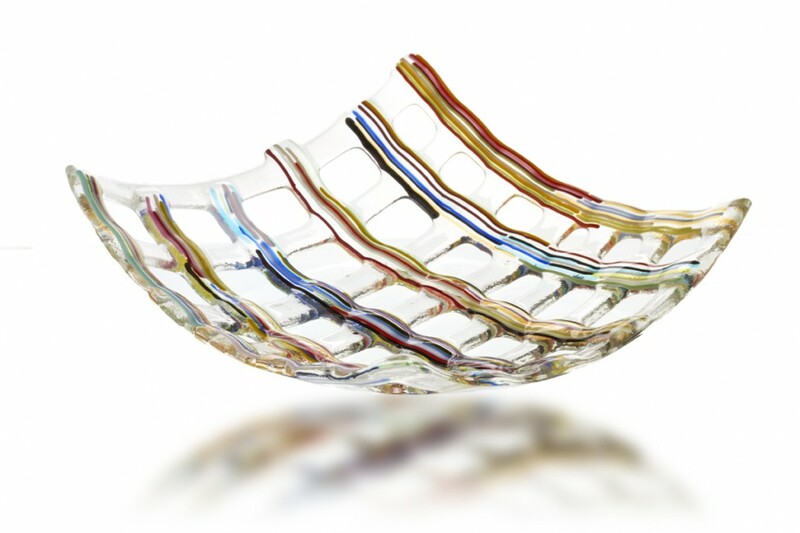 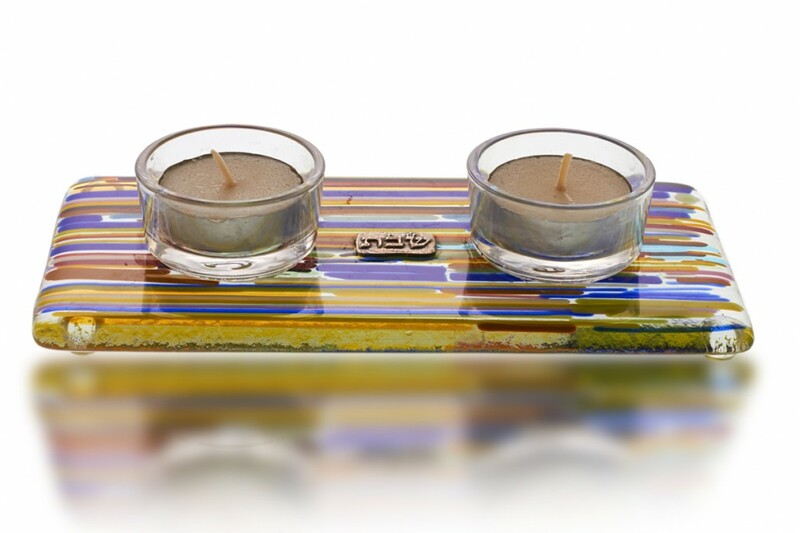 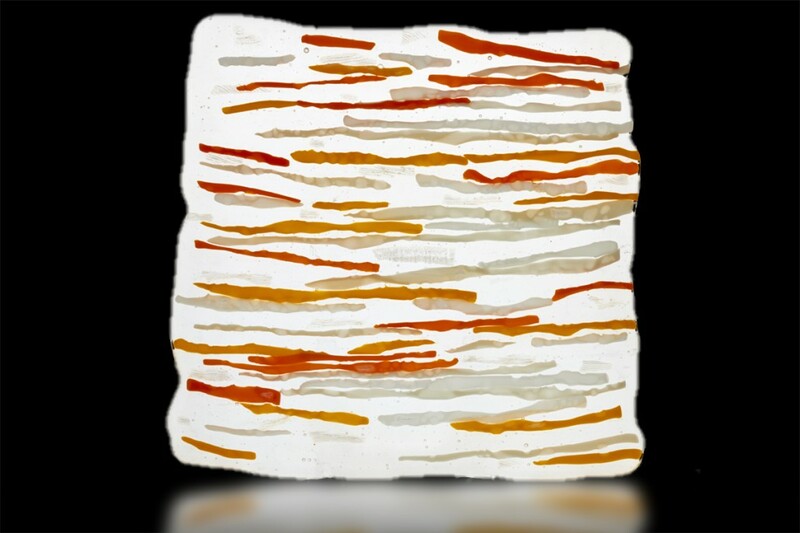 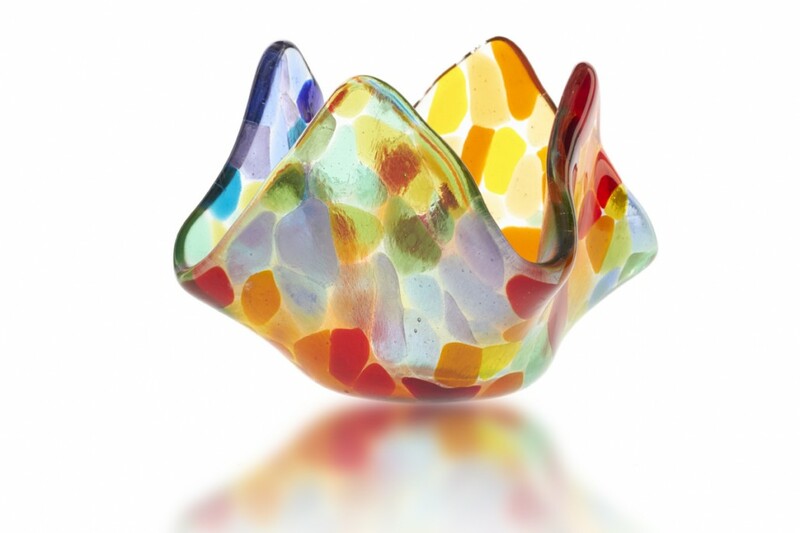 Galia become a Fire Glass Studio Artist in January 2014 while taking a beginning Glass Fusion Workshop. 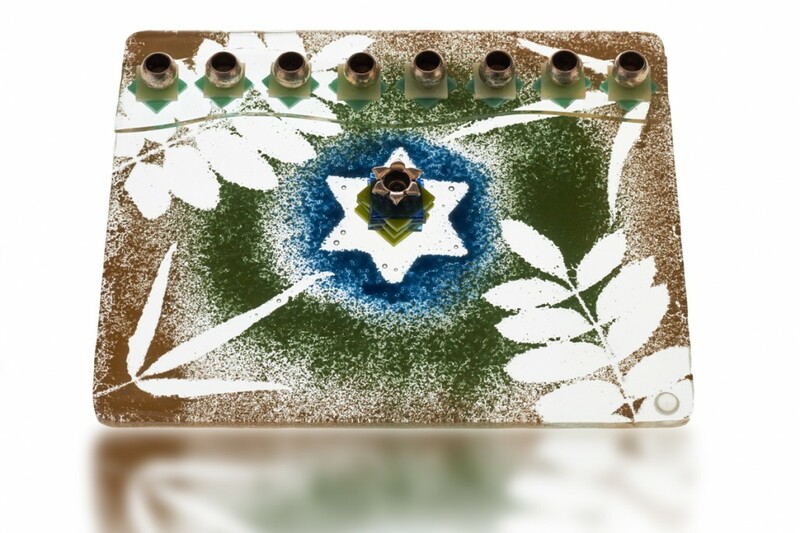 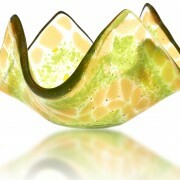 Galia is an extremely detailed artist who strives to in each piece to create the “perfect” project. 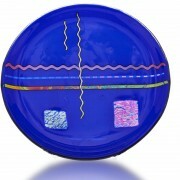 Her work is detailed, unique and colorful. 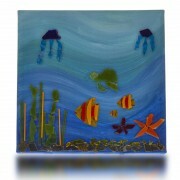 She continues to show ever-expanding skills in creating and designing her art. 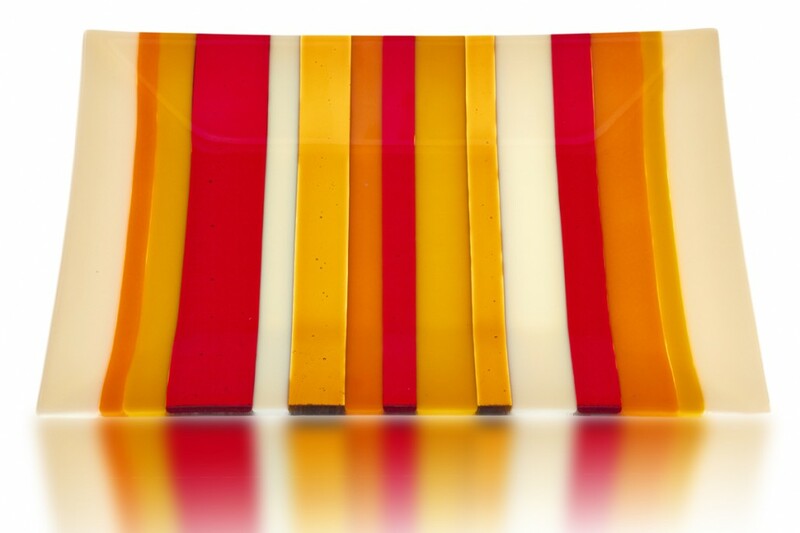 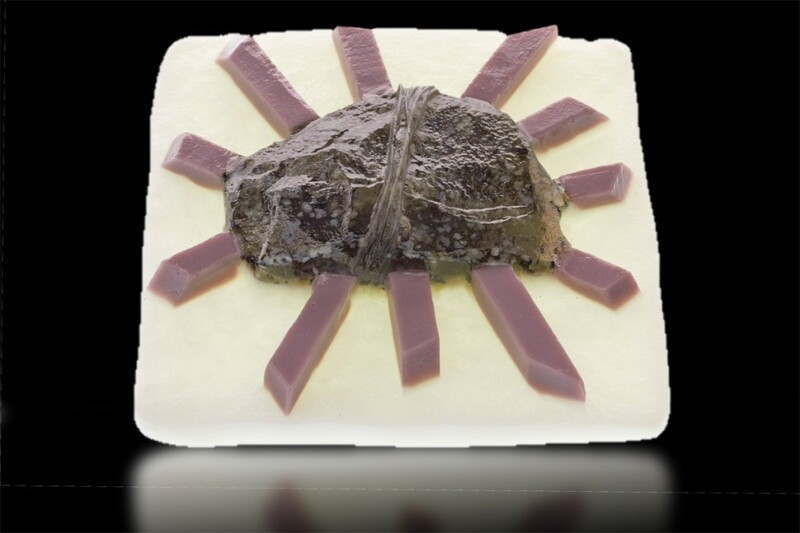 Darren is an accomplished Glass Artist who has studied his craft at such well-known institutions as Corning Museum of Glass, Pilchuck Glass School, The Glass Furnace and Santa Monica College. 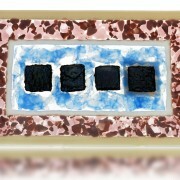 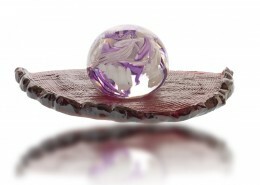 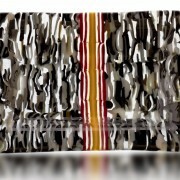 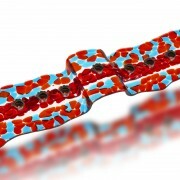 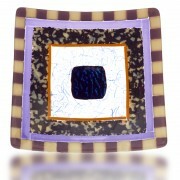 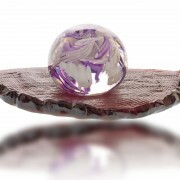 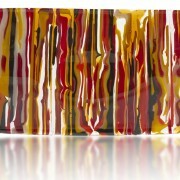 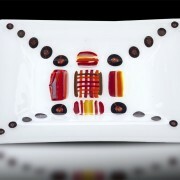 He has a broad spectrum of talents in working with glass but is especially gifted in Fused and Blown glass. 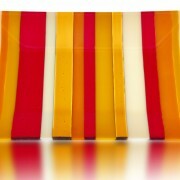 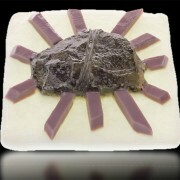 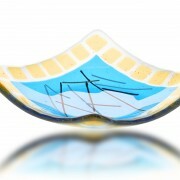 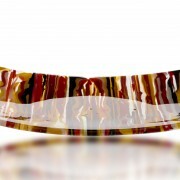 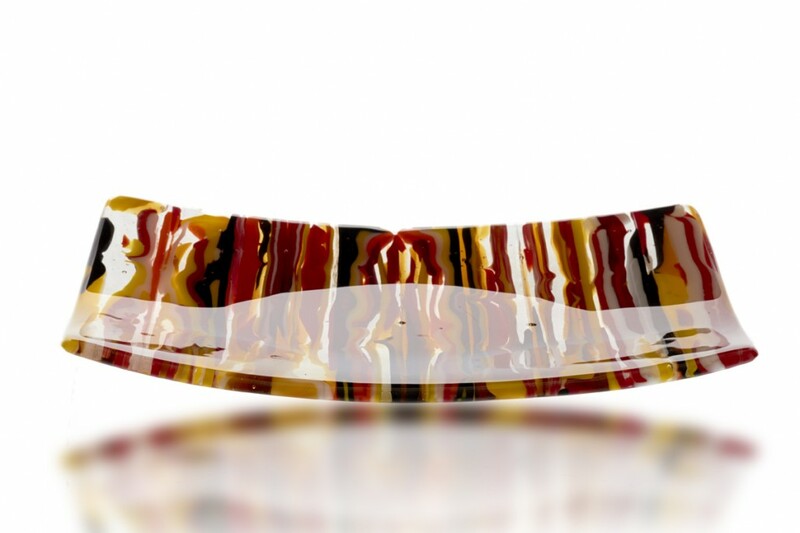 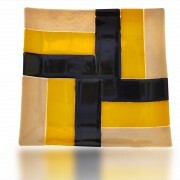 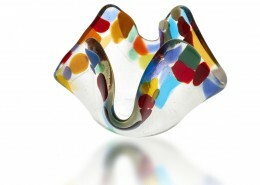 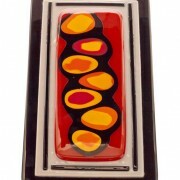 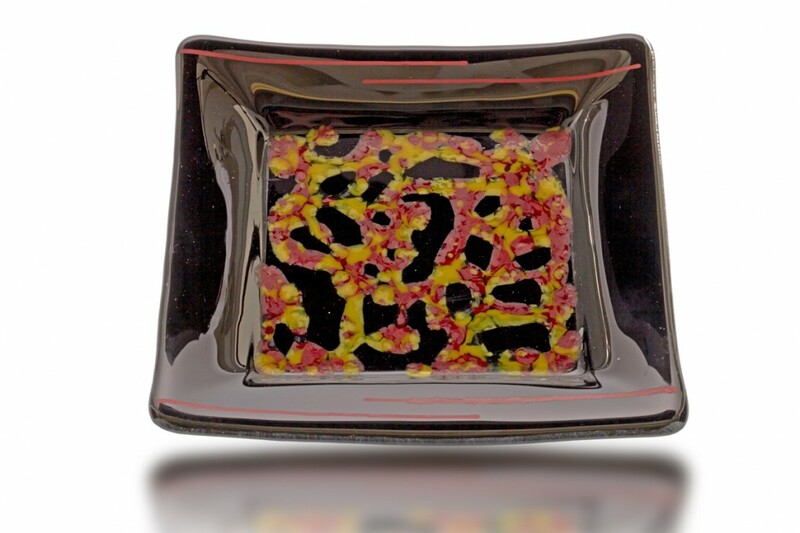 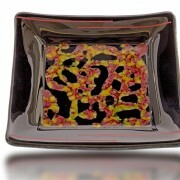 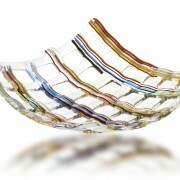 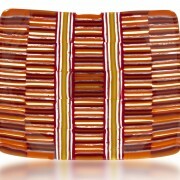 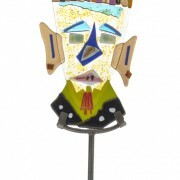 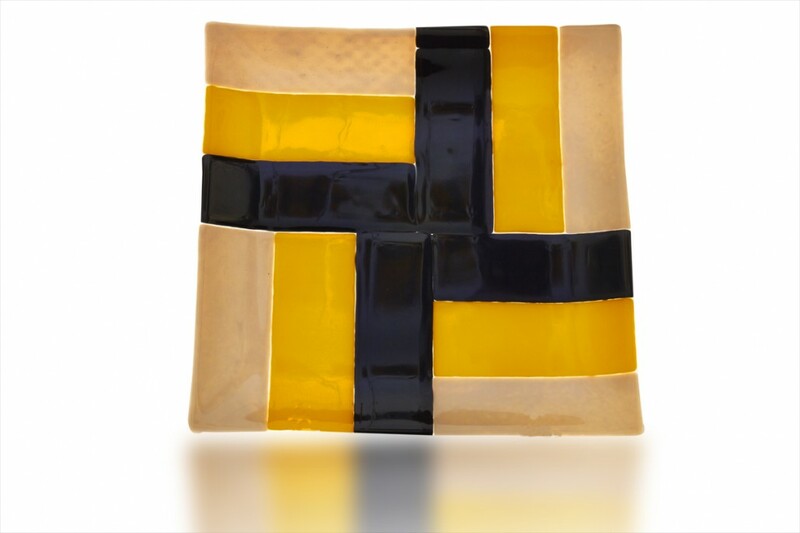 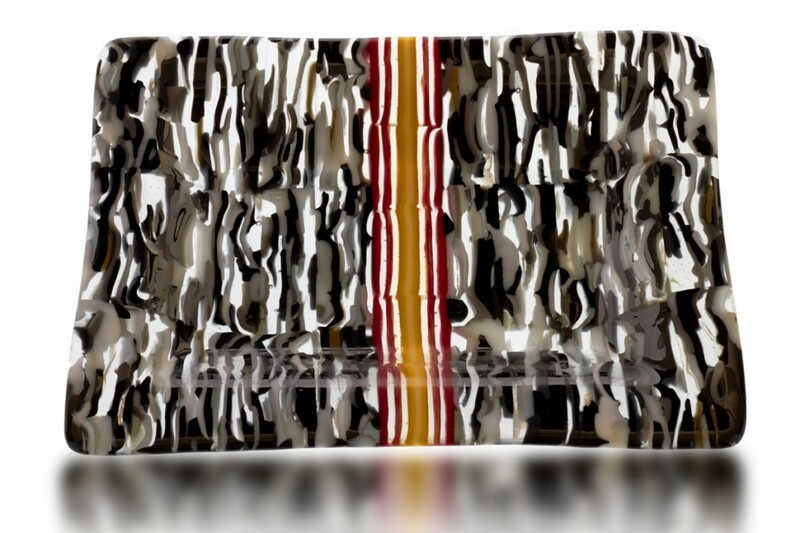 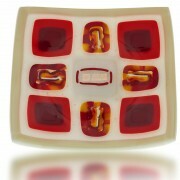 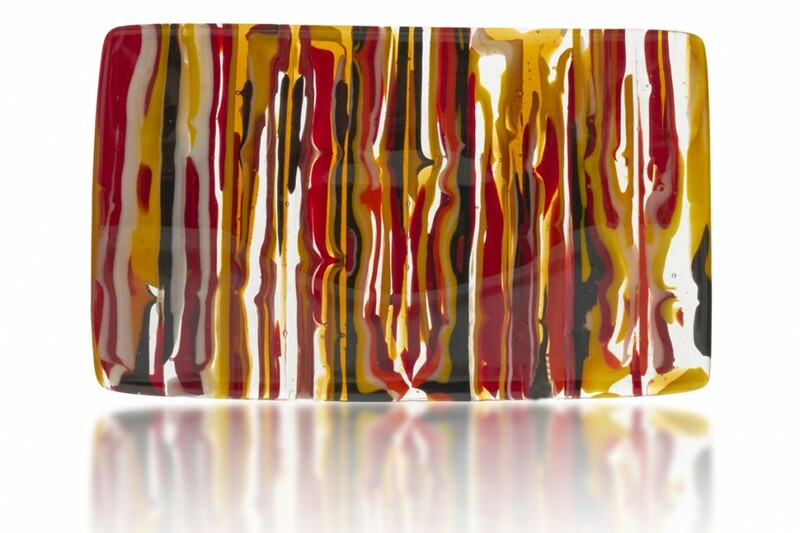 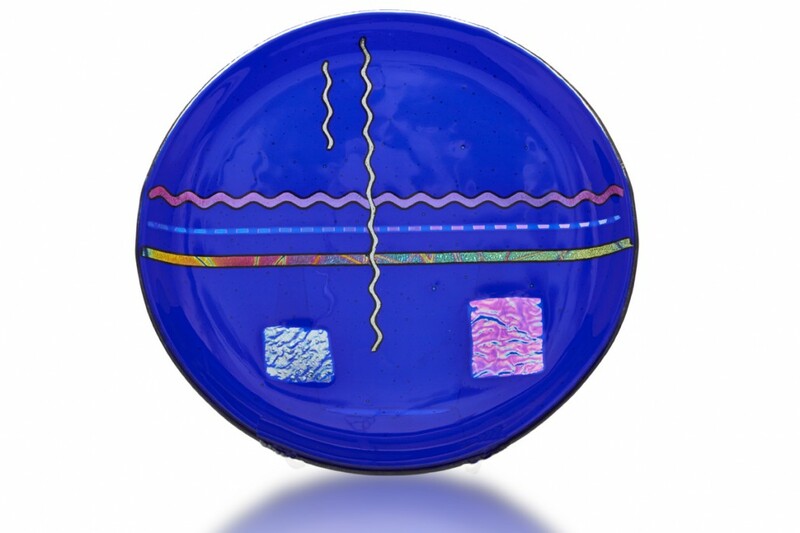 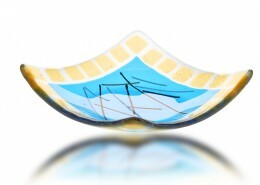 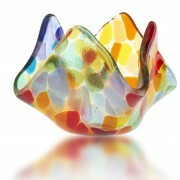 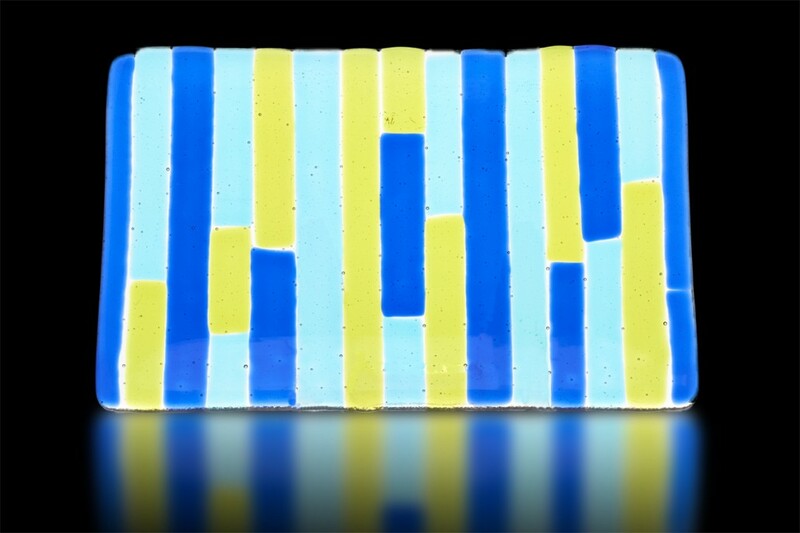 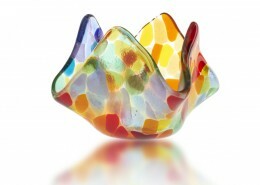 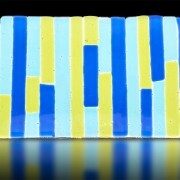 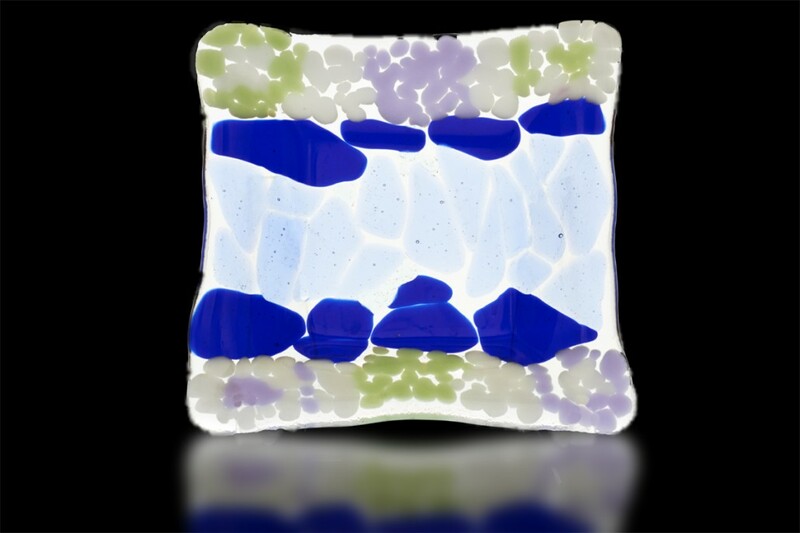 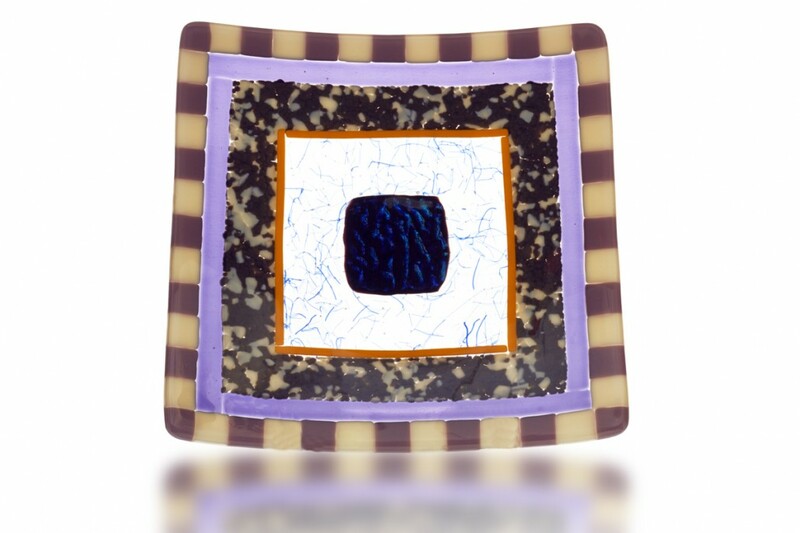 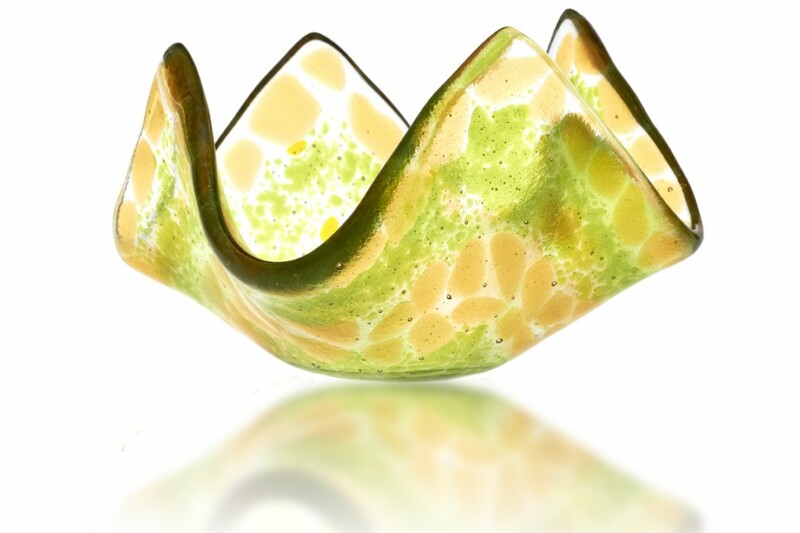 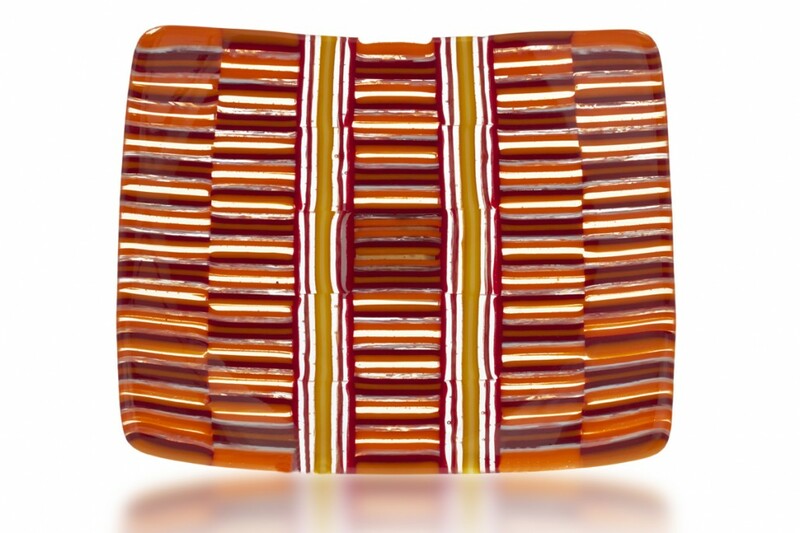 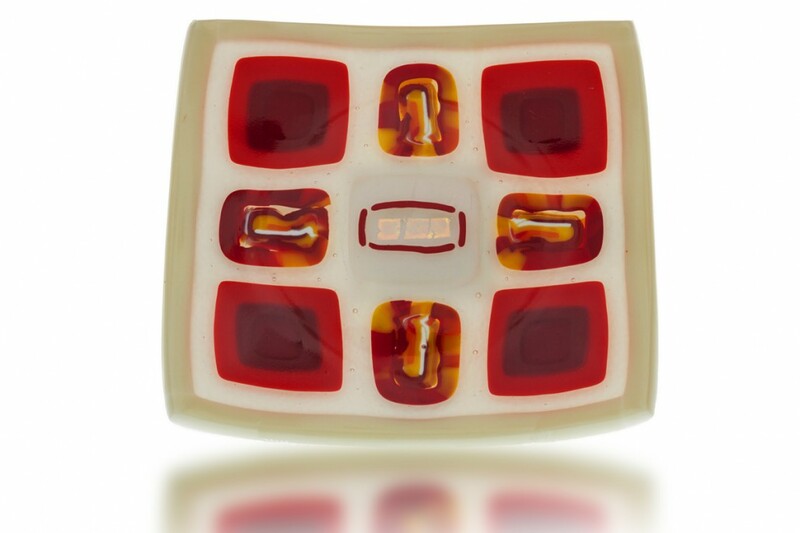 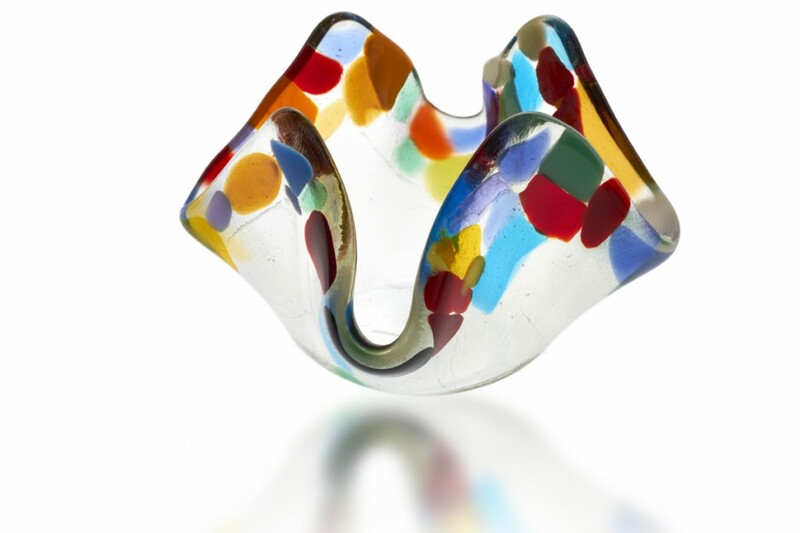 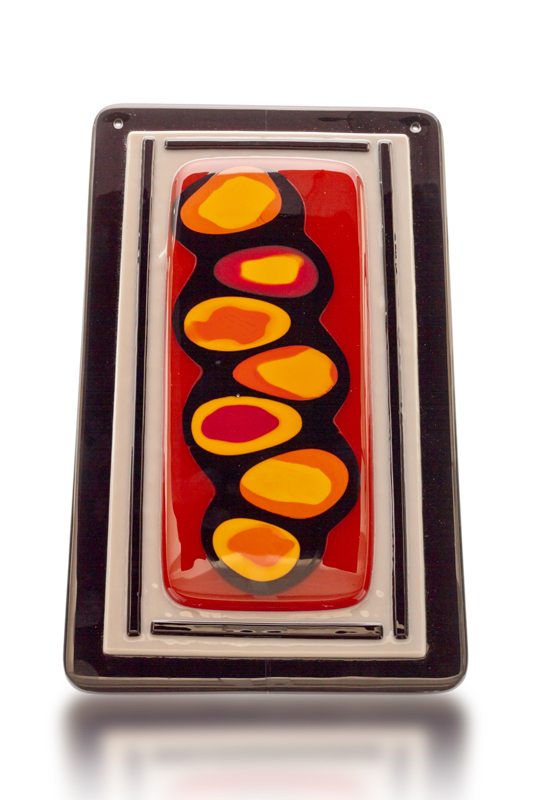 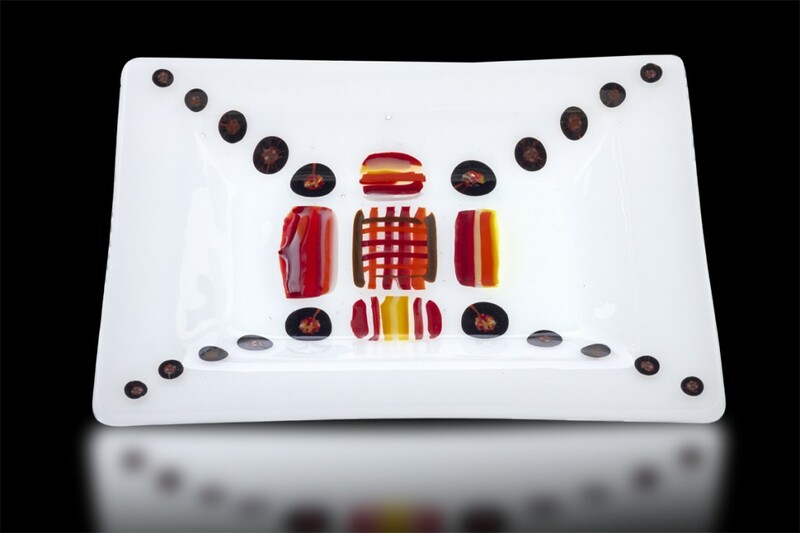 Darren has his own unique approach which mixes elements in his fused and blown glass pieces including murrine, pattern bars and canes. 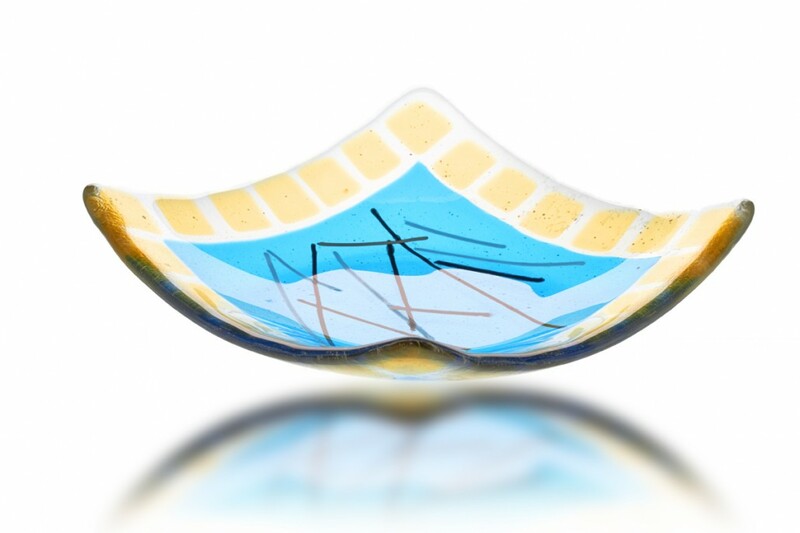 In 2013 Mai turned 11 and already she is part of Fire Glass Studio Design Team. 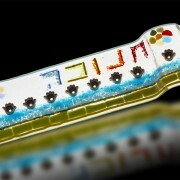 What do you expect though from the daughter of founder Michal Hasson. 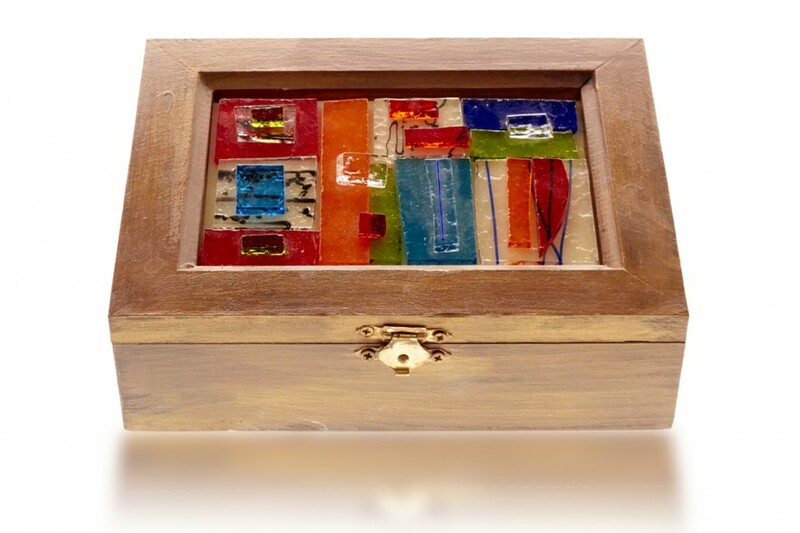 Her artistic skills and creativity are far more advanced for her age at all spectrums of the art including acrylic painting, oil painting, glass fusion, clay and many more. 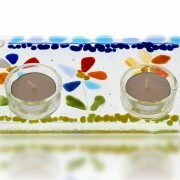 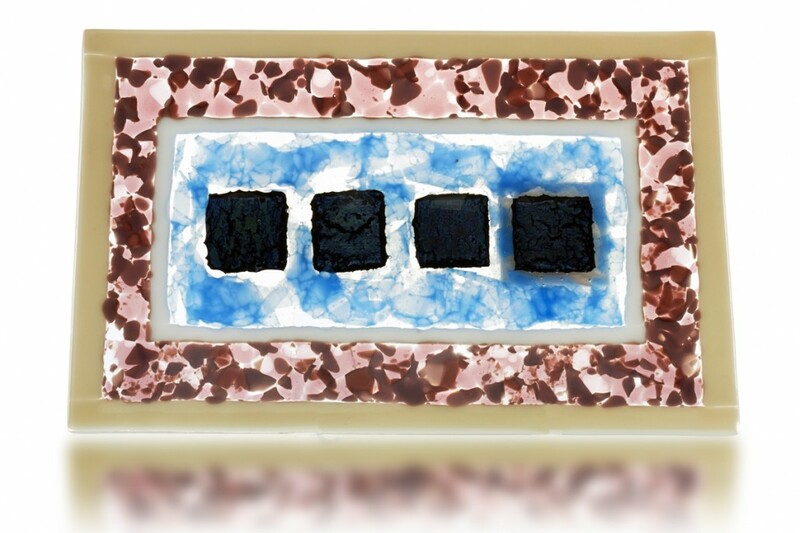 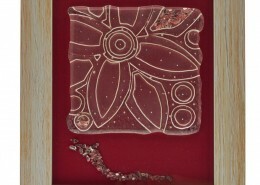 Her wall art and glass fusion creations decorate and “light-up” the studio. 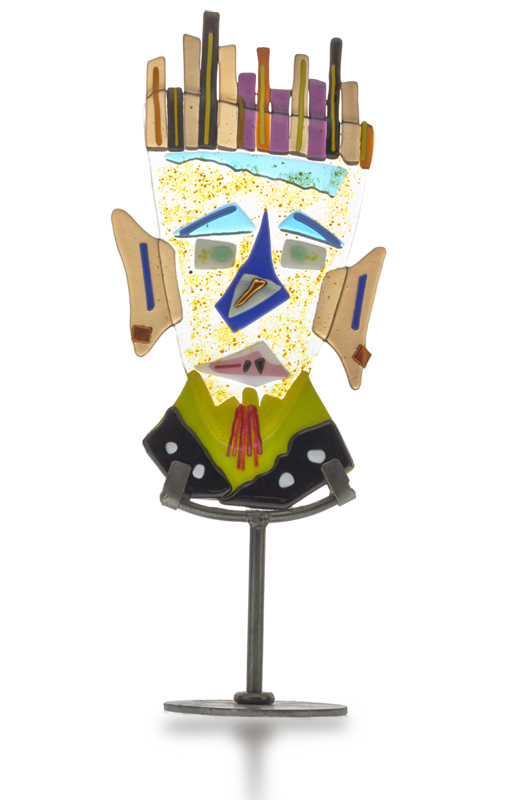 Of note in her portfolio here is the Bart Simpson mask she created with her father Amir. 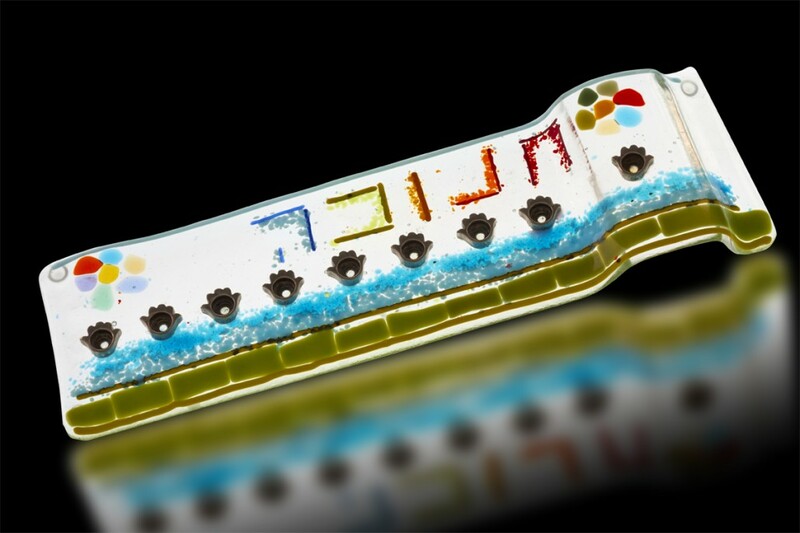 Talent just runs in the family. 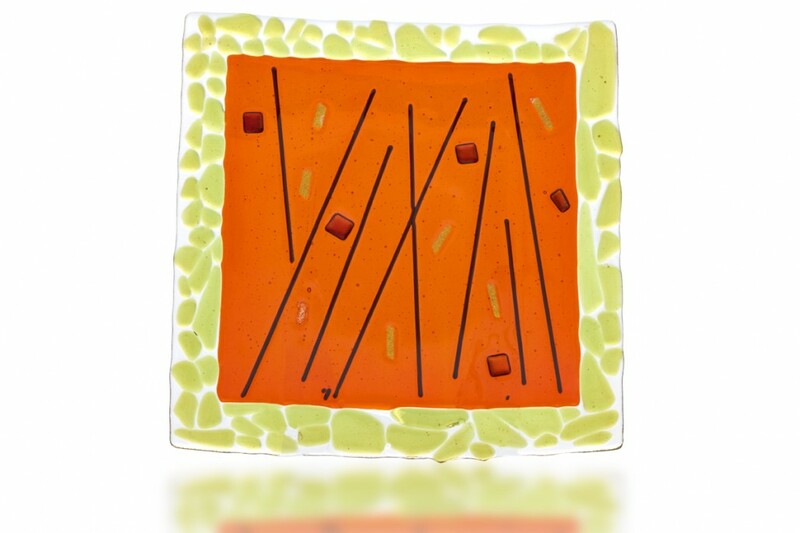 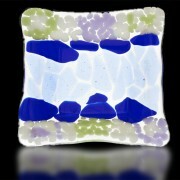 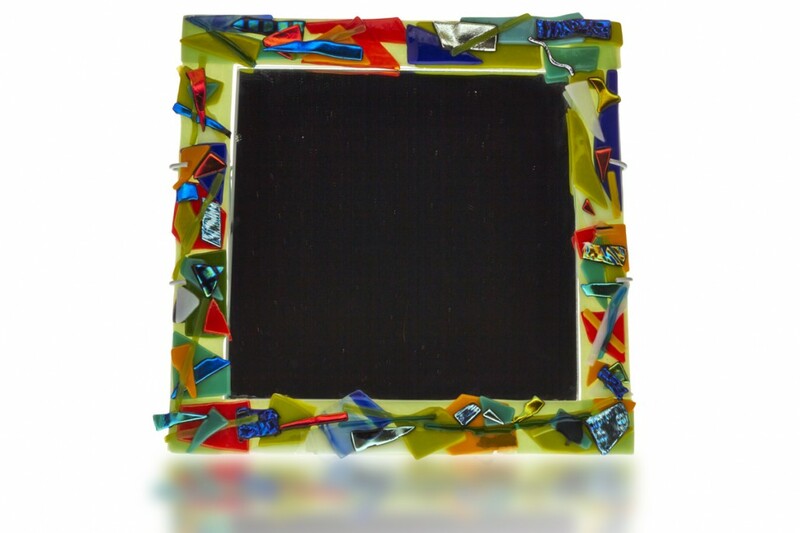 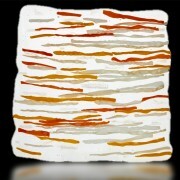 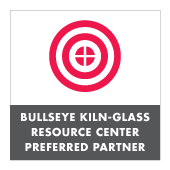 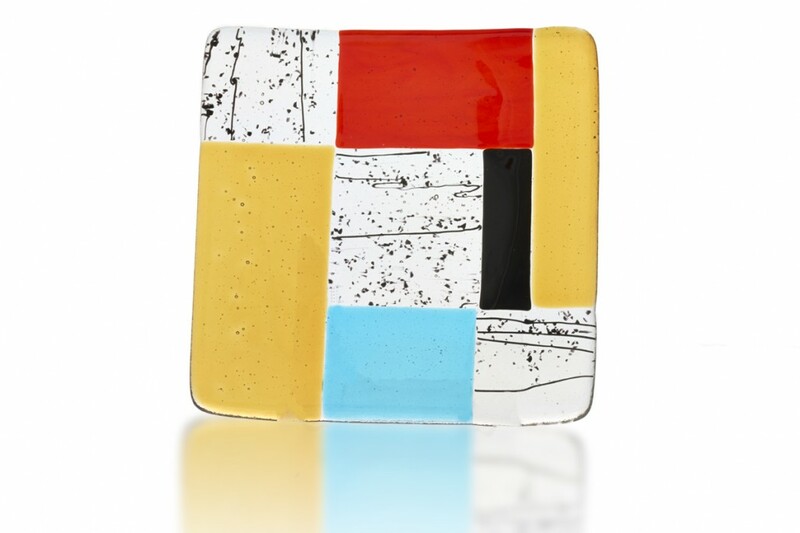 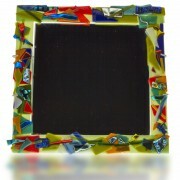 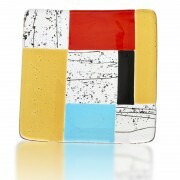 Michal is the founder and owner of Fire Glass Studio. 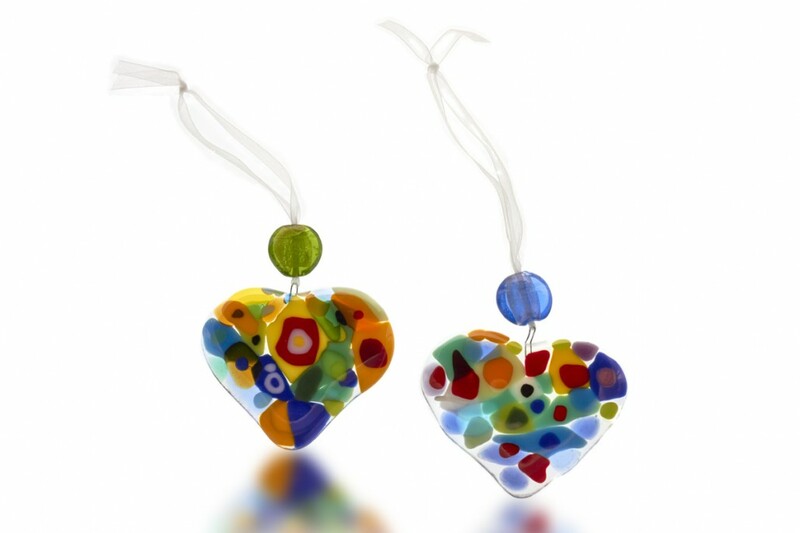 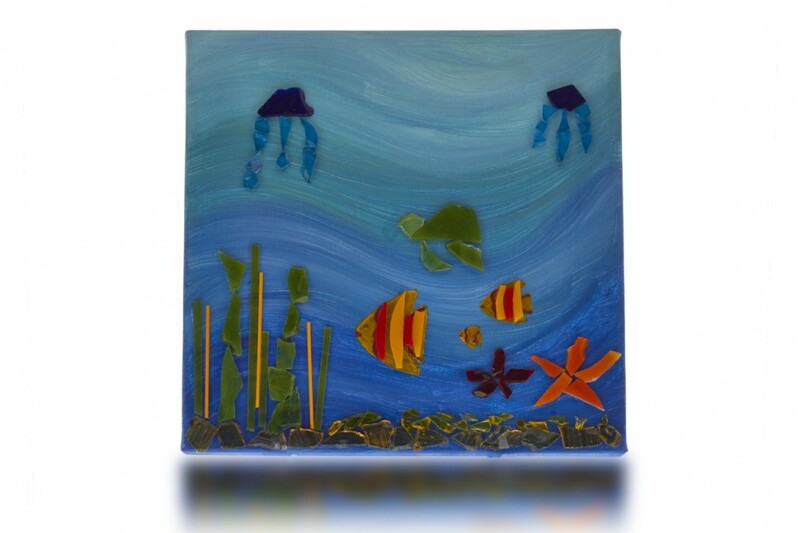 Although for most her life Michal worked in the world of traditional business with very many successful large companies, it wasn’t until 2009 she found her passion when she discovered Glass Art. 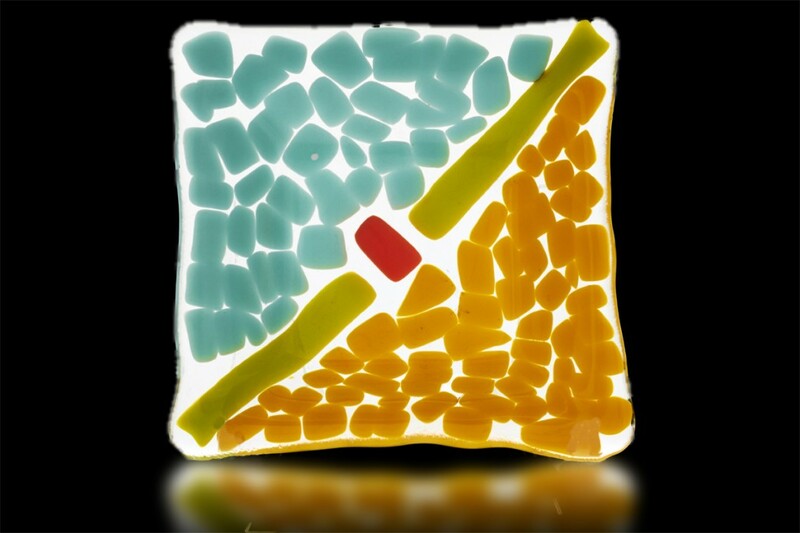 Through this visual art medium she has found the perfect way to use her imagination and creativity to combine color and texture into distinctive works of art. 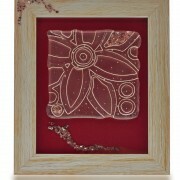 Michal’s talent and expertise is evident in each of her creations. 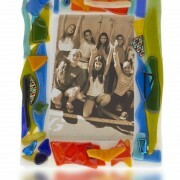 Equally evident is her passion in teaching others how to unlock their own creativity through this exciting medium. 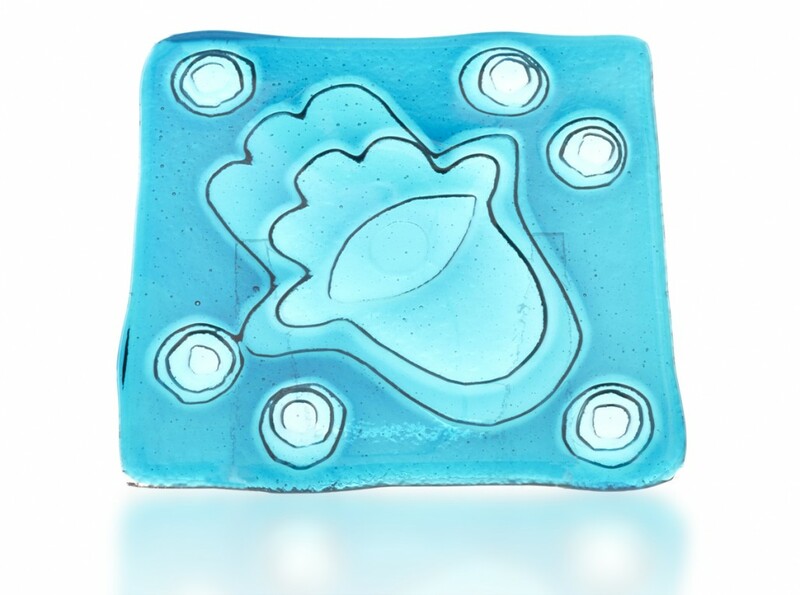 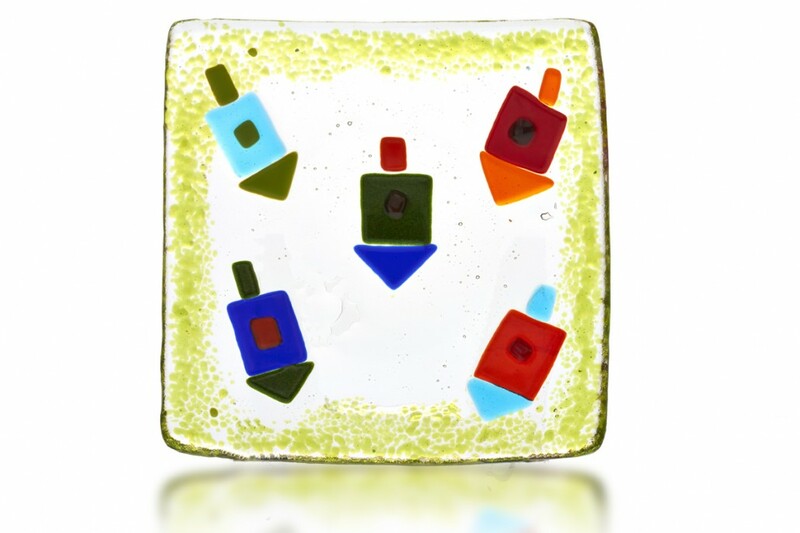 Ayelet joined Fire Glass Studio in November of 2014 when she took a beginning Glass Fusion class. 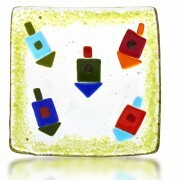 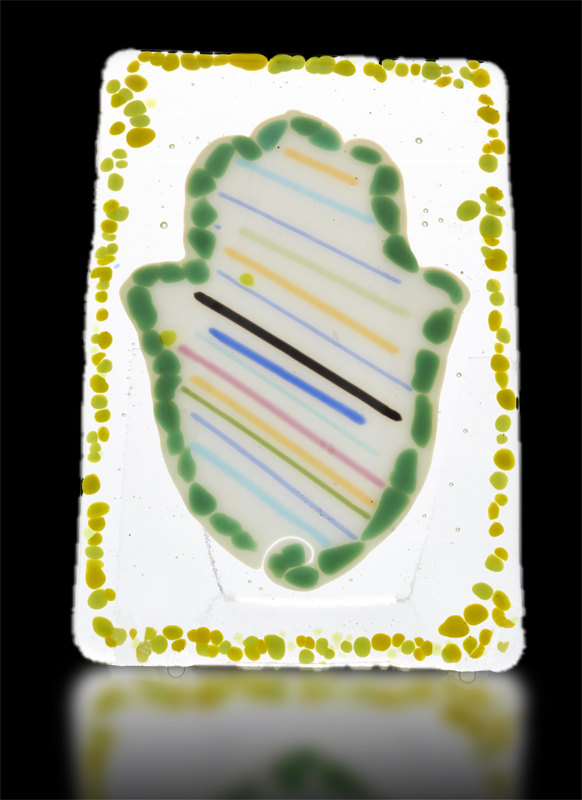 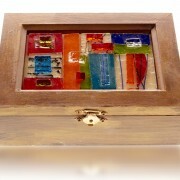 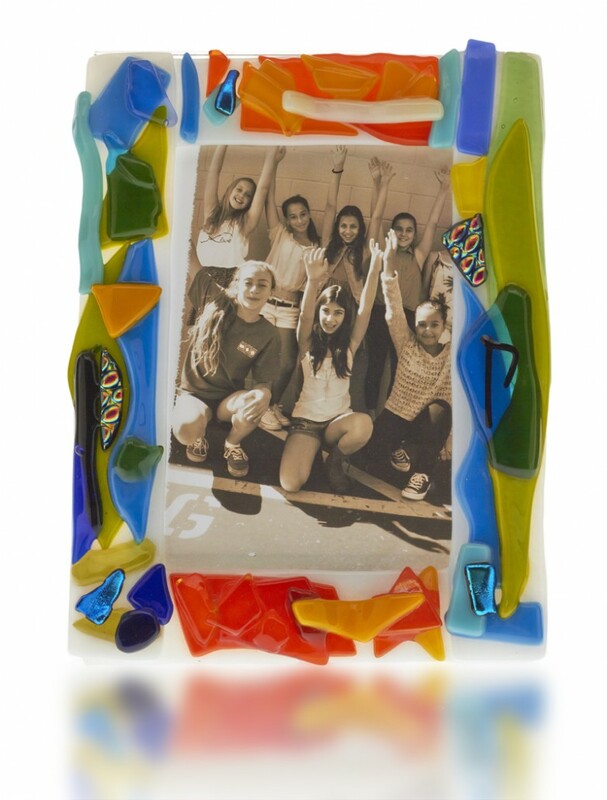 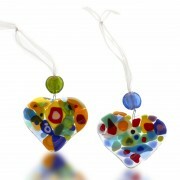 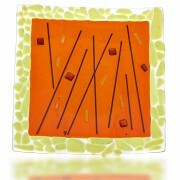 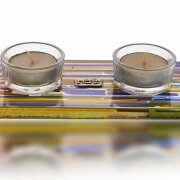 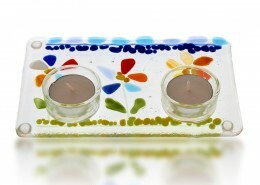 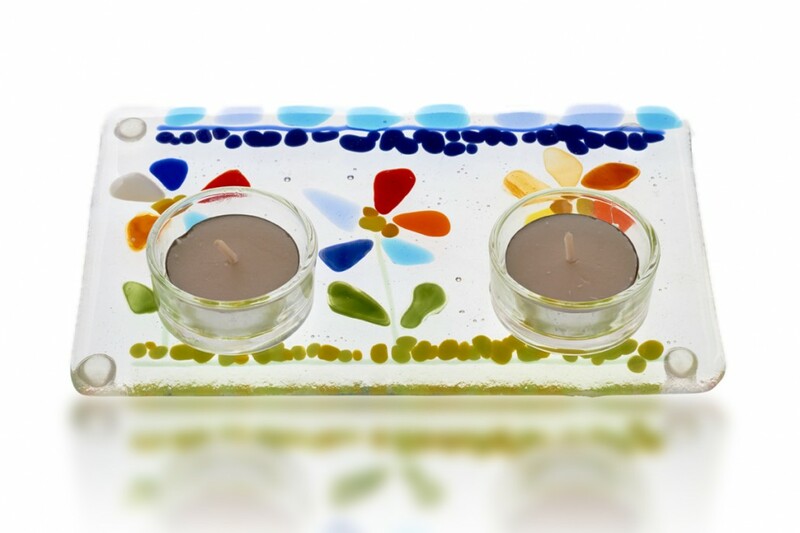 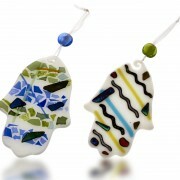 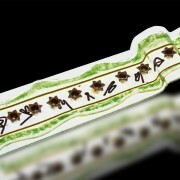 Though she had never before attempted Glass Art, Ayelet showed great design skills from the very first project she did. 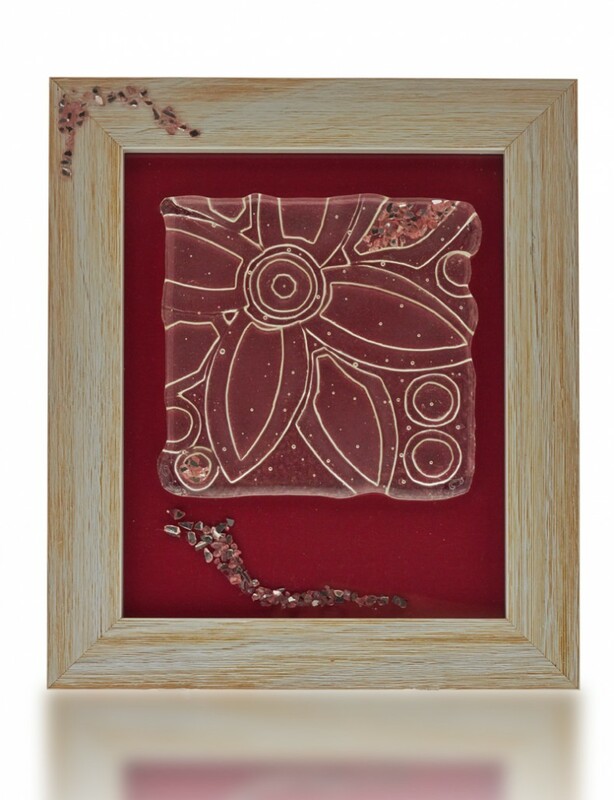 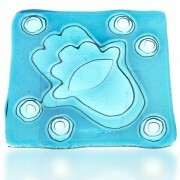 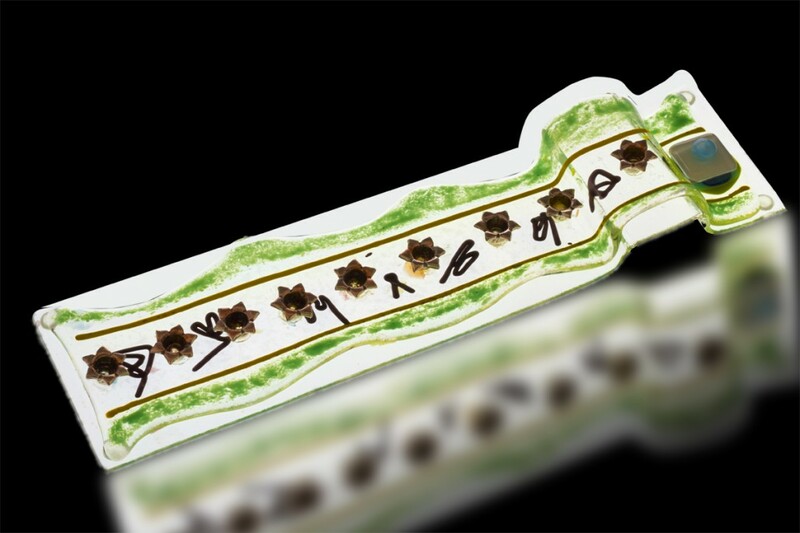 Her first offering to the gallery is this special “kiln-carved” flower wall art in a white wash wood frame. 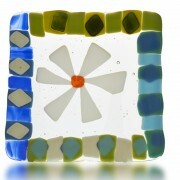 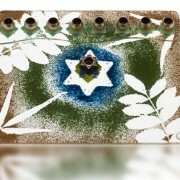 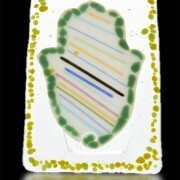 Ayelet continues creating beautiful Glass Art designs at Fire Glass Studio’s Open Lab workshops.